Oh how I underestimated your beauty, I love you Peony and Blush Suede. I really didn't know where to start with Jo Malone scents as they have strange fragrance combinations, like Sea Salt and Wood Sage and Earl Grey and Cucumber. 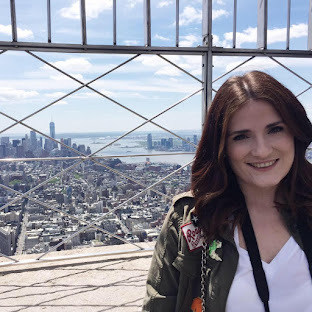 I don't have a counter near me and buying a scent online would be very risky, but I finally got the opportunity to peruse the counter at Manchester Airport Terminal 1. The counters themselves are beautiful, the black and white chic packaging is reflected in the decor and the staff were lovely. I sampled their signature scents but one in particular caught my attention; Peony and Blush Suede. It's incredible, honestly it is. It's a light, classic floral scent, which I imagine would suit everyone. It's an instant mood booster for me when I smell it too. I really underestimated the quality of the fragrance, it's very long lasting and I can smell it on myself, unlike most of my perfumes. 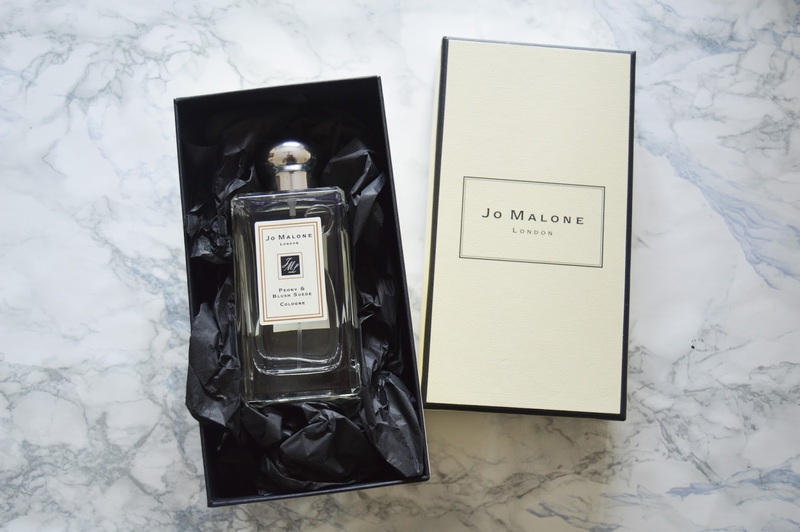 I've kept the precious glass bottle in it's box for safe keeping, a 'best' perfume to be brought out on those special occasions or when I'm feeling down. 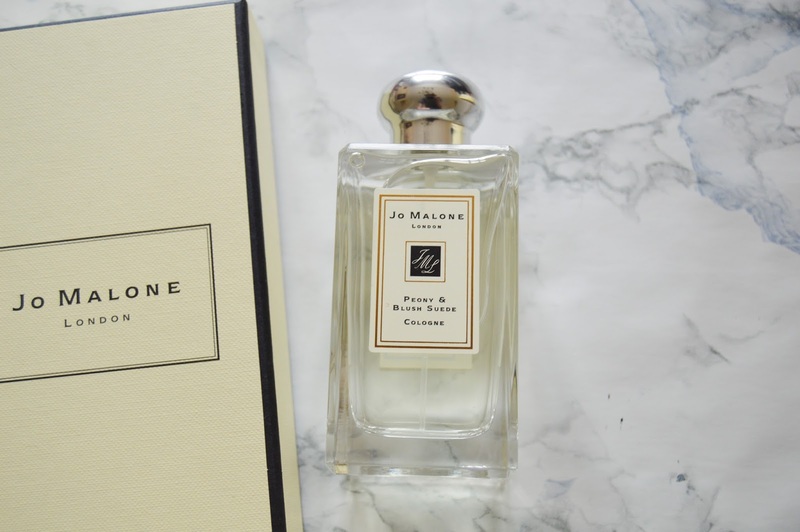 I thoroughly recommend treating yourself to a Jo Malone fragrance. well worth the price! 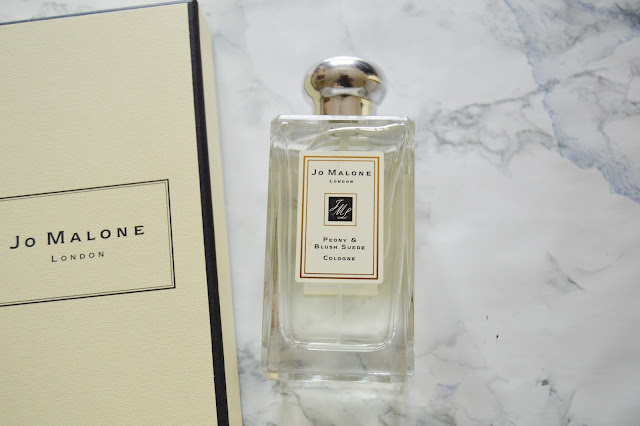 I have never tried a Jo Malone scent but I have read so many good things about them , including this post, that makes me really want to treat myself!